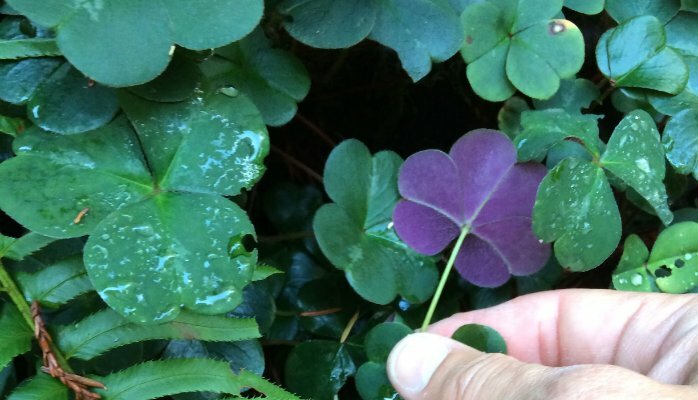 I was hiking in the Redwood forests in Northern California last year, when I saw a flash of violet in the dense green that if the most overwhelming color in the temperate rain forests. I looked at the underside of the sorrel plant, and saw the remarkable shade of purple. It was non-obvious. And only available for those that were making the effort to inspect the underside of what is common. How do we create value in a world where so much of the world’s knowledge is available via Google? Where the understanding of configuration and technology is no longer the exclusive parlance of the technological cognoscenti? I tell our team that our job is to offer the non-obvious insight. To use our knowledge and experience and wisdom to offer up substantive information that cannot be obtained through a simple search. To take orthogonal subjects and show how they inform one another. To demonstrate that we have read and have learned to the point of mastery, where what we do is so second nature that it appears to be easy. Our IP is not necessarily in a product that we sell, but in the way we can offer predictable, high-quality results even when we are doing something that has never been done quite this way before. We will expose people to things that are useful and important that they did not know. We will provide insights and understanding using multiple disciplines and deep technical knowledge. And we will take the time at OST to look in the non-obvious places for ways to generate value for our employees, partners and customers. As a parent, how do we react to this technology and how kids are using it? What do we need to know? Over the last few years, I have written a presentation for parents titled “Protecting Your Children: How to Take Control”. The presentation is designed to give parents valuable advice on how to protect their kids from the dangers of the internet, and bad decision-making when it comes to its use. The underlying message of the speech is that parents have the right and a need to take control of the technology kids are using. Some of the recommendations are extreme and would be used if a child/teen is in a dangerous situation. This is a multi-part blog entry that provides the reader with ten (10) recommendations. This entry is the introduction to the subject and the first three recommendations. Please stay tuned for the remaining two blog entries. As I thought about that, I realized that even though I tried, he was right. Most of us can’t say that to our kids, as the world of technology has changed quickly. Our kids have grown up with technology that wasn’t available to us at their age. Most of us did not grow up with digital cameras, cell phones, laptops, texting and maybe even the internet (now I’m aging myself). I won’t even mention that I remember having three channels and a black and white TV. So back to reality…. As a parent, how do we react to this technology and how kids are using it? What do we need to know? Data and electronic communications should be considered permanent. Teach your kids to assume that posted and sent pictures and other information will turn up when they have children of their own. Just because something is deleted from Facebook and other Social Media Sites, doesn’t mean that it is gone for good. Things have a way of re-appearing when they are least expected. Search engines (like Google and Yahoo) are constantly indexing web content and making off-line copies that can be retrieved in the future. Everything is preserved somewhere. See what information comes up. Does your child have a Facebook, Twitter or other Social Media Page? If they do, display it and use Google Image Search to see where else their picture(s) are being used. Invest in good internet filtering and parental controls. It’s easier than it sounds. Many new, mid to high-end home internet routers include services that provide a parent with the ability to configure parental controls, time of day limits, and the ability to block offensive websites. If your home internet router is a few years old, it may be time to replace it with a device that provides you with greater control. In addition, internet services such as OpenDNS can be used to restrict the types of websites that can be accessed from your home. Parental Controls can also be implemented on your child’s PC. In Windows 7 and 8, you can setup a unique password that allows you to make these changes and keep your child from turning them off. Windows 8 also allows you to set a computer allowance for time of use. Most Smartphones, like an Apple iPhone, can have parental controls turned on that limit use of the camera, in-app purchases, and restrict web browser access to adult content. Keep your password a secret. Teach your kids to keep theirs a secret as well, except when it comes to you. As parents, you should know every password your children use… always! Keep a record of the password for your child’s computer, smartphone, email addresses, Apple ID password, etc. Know the password they use for Facebook, Twitter, and other websites. Insist that you always know the account and password information. No exceptions. It doesn’t mean that you will invade their privacy, but it may be necessary in the event of an emergency or if you suspect a dangerous situation. Know the purpose and use of every app on your child’s phone. Stay tuned for the next two parts of this series. Want more information? Are you interested in having Scott speak for a parenting group? Let us know how we can help. 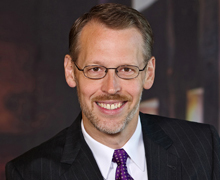 W. Scott Montgomery joined OST in the spring of 2009 as the Manager of the OST Security Practice. Scott joined OST with over 30 years of IT and IT Security related experience. Scott has personally performed more than 1,000 Security Assessments for several hundred organizations. Using a proprietary and unique assessment approach, developed by Scott and used since 1998, the OST Security Team has the ability to gather, analyze and assess the security of any organization.